Is the central state hospital in indianapolis haunted? Building of the central state hospital was completed in November, 1848. 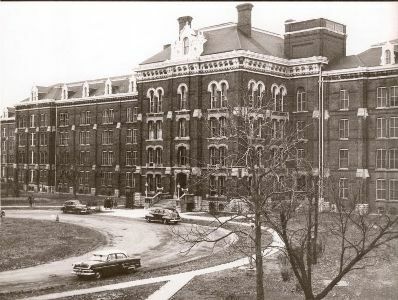 The building was originally called the Central Indiana Hospital for the Insane until 1926 when the name changed. The hospital housed all kinds of mentally disturbed patients, from people suffering with all kinds of general insanity to the criminally insane. The hospital was overcrowded much of the time, and patient living conditions were less than optimal. The hospital treated patients for 146 years, it has since closed down and now stands vacant. The most disturbed of patients were housed within the basement, an area with little light and poor ventilation. Many staff (when the building was open) and visitors to the property have heard screams and moans coming from this area when it has been empty. One of the most common experiences of the paranormal at the hospital is to see apparitions of patients running down the hallways and even outside the building wearing patient gowns and robes. The treatment used at the hospital is classic for the creation of ghosts, methods were used such as electric shock therapy, seclusion and trepanation. Other ghost stories from the hospital include seeing the faces of people within various windows of the property, and the sounds of footsteps walking the cold tiled corridors when no one is there. Many orbs have also shown up on photographs throughout the building.